The earliest record of the Aulteribe site dates back to the 13th century. The Cholets were the first lords of the manor. 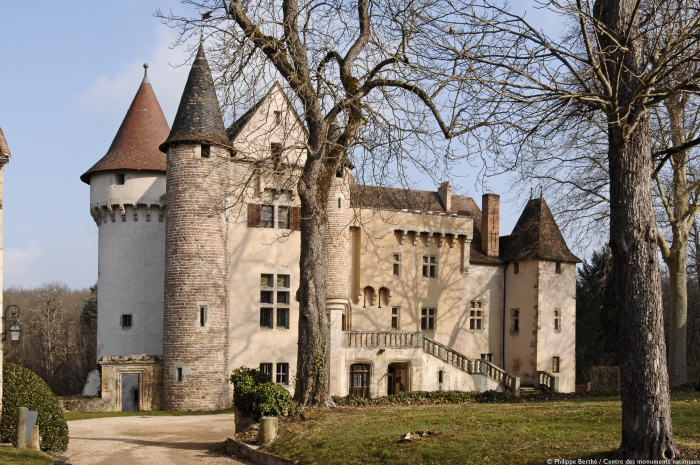 Ownership of the château was transferred to the La Fayette family by marriage in the second half of the 15th century. Charles Motier de La Fayette fortified the Aulteribe site by adding arrow slits and cannon ports, as indicated by the contract for the work conducted in 1467. The château then passed to the Monboissier family, before it was purchased by the Pierre family in 1775. In the 19th century, Joseph de Pierre and his wife Henriette Onslow set about restoring and redeveloping the old dwelling. In 1954, the château of Aulteribe and its outbuildings, grounds, forest and collections were left to the State by Marquis Henry de Pierre, with the express instruction that the property and its contents be preserved and used to provide artistic education to the general public. The State honoured his wish, and visitors are now able to explore this surprising and unique location in the heart of the Livradois-Forez regional nature park. Since 1999, the château of Aulteribe has played host to an artisan cabinetmaking training course. The first higher technical qualification in cabinetmaking “restoration and design” (BTMS ébénisterie) was created in 1999, at the initiative of the Centre des monuments nationaux, in partnership with the Auvergne Regional Council, the Institut de Formation Professionnelle (IFM), the Haute-Loire Chamber of Trades and Artisan Crafts, and the National Union of Artisan Crafts and Furniture Trades (Unama). The course, which takes place at the château, includes practical training in cabinetmaking and workshop restoration activities, overseen by a master cabinetmaker, as well as lessons in the history of art. Students have an opportunity to draw inspiration in terms of style and technique from the exceptional collections at the château. During the second year, students restore an item of furniture of their choice for subsequent presentation to the public, and complete a detailed study of the restored piece in question.